The Skype app for Android has been update with full support for Android Nougat as well as a host of other fixes and improvements. The updated build is version 7.14 for those keeping score at home and if you have the messaging app installed already, you should see the OTA update come to your phone or tablet over the course of the next few days. While support for the latest version of Android is great, that really isn’t the banner item in this update. Rather, it is a number of user related issues that the team addressed as well as cross-app suggested contacts. The suggested contacts gives you suggestions on contacts you can reach through Skype from other Skype apps. For example, if you have Skype for Business installed on your phone, you can now see suggested contacts for your business contacts in Skype. You can have this setting set to automatically add your contacts or you can manually add them. As for the rest of this update, it primarily focuses on user specific issues or device specific issues. Here is the rundown of those issues from the release notes. If you have encountered any of these issues, this update hopefully will address them for you. 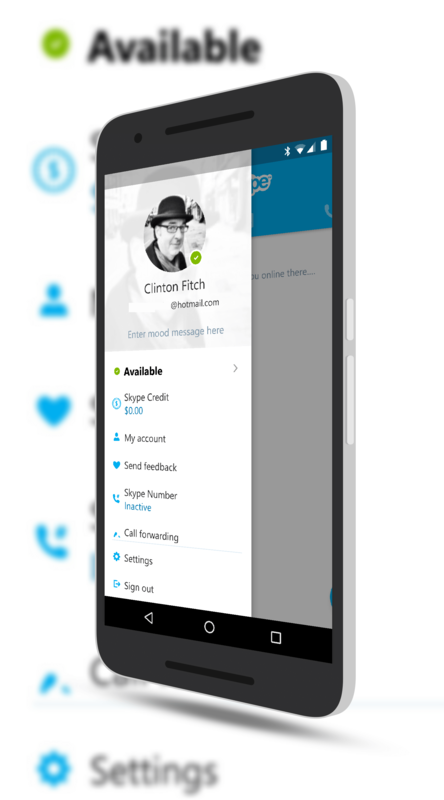 If you have not tried Skype, you can download it for free in the Play Store. It is a great all around messaging app that you can use for making Wi-Fi calls internationally and can be your SMS app too.